Summit Primary Care has paired with some amazing professionals, offering discounts on their services, to keep your best health in mind. 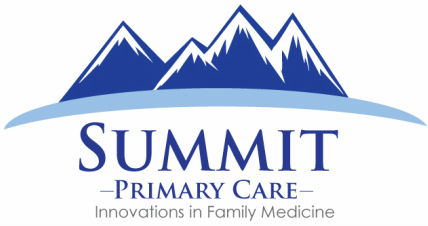 All have extended discounts to Summit Primary Care patients. Akasha Counseling was created to help people become “unstuck” in their lives and relationships. Whether due to feeling trapped in a job or relationship, feeling paralyzed by indecision or struggling with an inability to move forward, clients value Akasha Counseling’s compassionate and authentic approach. Through a collaborative and safe environment, Akasha Counseling helps clients create the change they desire in their lives. Since 2014, Akasha Counseling therapist Ariel Friese has been on staff at the Mental Illness Research, Education and Clinical Center (MIRECC) with the Denver Veterans Administration and is currently working on a study researching the effectiveness of therapies on veterans with substance abuse issues and a history of self-harm. She is currently an affiliate faculty at Metropolitan State University in the Department of Human Services and just finished teaching a course on Cognitive Behavioral Therapies. ​Her free, initial appointments are 30 minutes in length with 50 minute follow up sessions. She accepts cash, check or card at time of service. Brian’s passion for Chinese Medicine and Acupuncture ignited in Beijing, China where he lived and worked for over 4 years. Full immersion in the local culture included frequent visits to a well-known doctor and professor of Chinese medicine. Seeing his health dramatically improve through frequent acupuncture and herbal treatments left a lasting impression. Upon returning to Colorado Brian enrolled in the Masters program for Oriental Medicine at South West Acupuncture College in Boulder, Colorado and earned a Masters of Science in Oriental Medicine (MSOM). This four-year program consisted of 3,000 hours of education including 1,095 hours of clinical practice. In October 2007, the National Certification Commission for Acupuncture and Oriental Medicine (NCCAOM) certified Brian as a Diplomate of Oriental Medicine. Brian became a licensed acupuncturist in the state of Colorado and established his private practice, Balance Point Health, in December 2007. Brian added a new branch to his practice in 2013. Game Time Acupuncture is designed to support athletes before, during and after competition by accelerating healing and recovery. Fortified by over 10 years of clinical experience Brian specializes in pediatrics, women’s health, allergy elimination, digestive health, pain management and sports medicine. With 20% discount, the first visit is $100 and follow-up visits $60. Pediatric fees for patients 18 and under are discounted $10/session. Initial visits are now $75 with $45 follow-up visits. Discount excludes herbal medicines as those are sold at cost. Initial appointments with Brian last 90 minutes. Follow up appointments are between 45-60 minutes. *He asks that new patients fill out and bring in the intake form found on his website. Brian accepts cash, checks and credit/debit cards (Visa, MasterCard, Discover and American Express) at time of service. Brian also offers reduced rates for pediatric patients ages 18 and under. I see my role as a therapist to help you suffer less and to increase your sense of joy and satisfaction in life. I will help you identify, emphasize, and build your core strengths and values. If you are missing or have lost a sense of purpose, I will help you develop a more meaningful life. Some people are unsure of what their goals are for therapy and just want to feel better. I will work with you to identify or clarify your goals so that you can get where you want to go faster and without wasting precious time and resources. I view therapy as a collaborative process and will regularly ask you about how you feel about your progress on your goals and the quality of our sessions together. I have trained in a variety of therapies and am primarily informed by humanistic-existential, cognitive-behavioral, and psychodynamic approaches in my work with clients. My approach includes careful consideration of how different elements (biological, psychological, social, and spiritual influences) may be affecting well-being. As my training is in clinical and health psychology, I often pay attention to the connection between emotional and physical health and how they influence each other. 75 minute intake/first session for the price of a 50 minute session. Irina sees patients the ages of 15+. Appointments are 50 minutes in length. She accepts payment at time of service. ​Christy Jones is a licensed professional counselor in Denver, Colorado with more than 10 years of experience. She received her Masters degree in Counseling Psychology from the University of North Florida in Jacksonville, Florida. Christy has worked in a variety of therapeutic settings including private practice, residential treatment centers, a public health department and a college counseling center. She has served as a victim advocate in the court system, worked at an employee assistance program and conducted support groups on parenting skills, bullying and life transitions. She specializes in treating depression, anxiety, eating disorders, addiction, domestic and sexual violence, grief and loss. Christy has experience working with children and teens, their families, adults and couples. Christy's approach is to partner with her clients and identify what maladaptive behaviors may be getting in the way of living a more fulfilling life. She uses a variety of treatment methods, always client-centered and solution-focused, which includes cognitive behavioral therapy (CBT), dialectical behavioral therapy (DBT), play therapy and art therapy. Christy works to blend these different modalities to provide her clients a safe place to explore, find meaning and set and accomplish goals to achieve a more balanced life. "I aim to strengthen families through insight, education and integration of life experiences. Psychological treatment is centered around increasing attachment, bonding and affect regulation. My approaches include a Cognitive Behavioral approach as well as a Psychodynamic approach to treatment." Her current specific areas of expertise are in treating children and families who are dealing with anxiety, depression, encopresis, giftedness and divorce. She is mainly seeing children ages 9 and up. Dr. Ziegler also takes on a limited number of medical trauma cases referred by The Children's Hospital to support both children and their families while they are experiencing chronic illness and or medical conditions including encopresis. 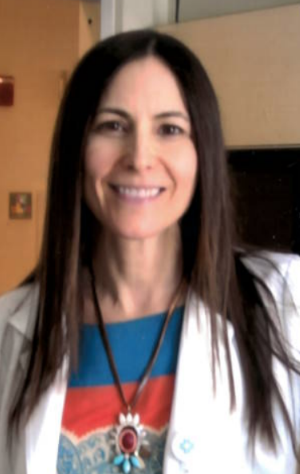 Dr. Ziegler spends approximately half her clinical time working with children and their families and the other half working with adults and couples. She sees individuals and couples on issues related to parenting, marital stress, family of origin issues and general life concerns. She also works with couples who are going through separation or high conflict divorce to provide co-parenting counseling. Dr. Ziegler also spends time every month doing school observations and reports at the pre-school and elementary levels for parents who have educational concerns. She does cognitive psychological evaluations for children ages 5-17. She is an expert court witness in the state of Colorado in the areas of child development, trauma, effects of divorce, family dynamics, attachment, parenting and systems of care. Therapists at this office are able to do school observations and home visits. Their practice and office are truly kid friendly. Christy sees patients, ages 3+. Appointments are 50 minutes in length for $125. Sheryl is not accepting new clients at this time, but does do consultations. Her rate is $180 for 50 minutes. Both accept cash, check and credit card at time of service. 1st 60 min session reduced from $75 to $60. One hour sessions thereafter are $75. Appointments with Ann are 1 hour in length. She accepts check and cash at time of service and does not take insurance of any kind. Book an appointment with Ann by calling her at 720.341.8593. Dr. Kelner opened FORM Medical with only one goal in mind, to truly help and heal patients. She prides herself with always making sure her patients are heard and strives to determine the root cause of your pain or injury. She is dedicated to making sure her patients understand their diagnosis and all of their treatment options. She will work with you and allow you guide the treatment process. With the correct diagnosis and guidance in the right direction, you will start to heal, your pain will decrease, and your function will return. Dr. Kelner is Dual Board Certified in Neuromusculoskeletal Medicine as well as Family Medicine and Osteopathic Manipulative Treatment, with specialty training in Cranial Osteopathy, Functional Medicine, Prolotherapy and Platelet Rich Plasma. She has trained in Prolotherapy with the world renowned Hackett Hemwall Foundation and has traveled to Honduras on their prolotherapy mission trip. 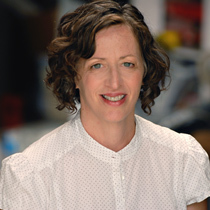 As part of a comprehensive approach to healing pain and other injuries, Dr. Kelner offers biomechanical analysis, Platelet Rich Plasma, Prolotherapy, Osteopathic Manipulative Treatment, Cranial Osteopathy, trigger point injections, intracellular nutritional testing, food sensitivity testing, and gastrointestinal testing. Welcome to Freedom Physical Therapy! My name is Dr. Josh Payne and I am a physical therapist and owner of Freedom PT. We are a concierge practice that will see you in your home or office. My passion is providing compassionate care to my patients to help improve quality of life over the long term. My reason for starting this practice is that I wanted to give patients more access to me, and to provide more convenience to having access to me. Let's face it, sometimes life is too busy to schedule time to go see a physical therapist at a clinic. I come straight to you, even if that means that I see you on your lunch break at work. You will have 24/7 access to me through phone, email, or skype. Each visit is one hour in a private setting of your choice. The more time that you have with me equals less visits needed to see your desired results! My primary focus is getting my patients back to doing the activities that they love, or helping to maintain peak performance in the activities that you enjoy. I will offer all SPC patients a FREE ($125 value) one hour evaluation with me in your home or office. This gives us time for me to see if you are a good fit for my practice, and for you to see if I am a good fit for you! Visits thereafter are $125 for an one hour session. Dr. Payne accepts payment in forms of debit and credit cards, cash and check. ​Jamie White is a Licensed Professional Counselor and Registered Yoga Instructor who specializes in helping adolescent girls and women untangle stress, anxiety and trauma. She helps her clients feel like themselves again, finding relief from symptoms of anxiety and trauma while also bringing healing to the root cause of what is going on. Many people have just accepted that anxiety will always be a part of their lives, but it doesn't have to be that way. It is possible to reset your nervous system and way of thinking so you can live from a place of calm and centeredness. It takes too much creative, relational and life energy to keep anxiety in check all the time! Jamie has been working with women and adolescent girls with anxiety and trauma for nine years. She uses Cognitive Behavioral Therapy, Eye Movement Desensitization and Reprocessing (EMDR), somatic theory, and her background as a yoga instructor to inform her practice. A typical session may include therapeutic conversation, learning strategies for decreasing anxiety/panic, processing trauma, mindfulness exercises, and more often than not, laughter. Jamie accepts payment in form of cash, check and most major credit cards. Dr. Jon Richard is a licensed clinical psychologist with over 25 years experience in clinical, consulting, and organizational psychology. In addition to his clinical practice, Dr. Richard has served on faculty of the University of Colorado at Denver, University of Denver, and Metro State University, and has been a consultant to public and private agencies around the state and the nation. He provides pragmatic, compassionate, and effective psychotherapy to adults 20+ years of age,with special focus on those that are experiencing any of the following: new or challenging medical diagnoses for themselves or family members,recent or anticipated grief or bereavement, persons with stress related to highly demanding jobs or changes in professional circumstances, and those with major life transitions, such as individuals recently entering or ending important relationships, or facing other significant life changes. ​in-depth therapy for those wanting to address longer-term challenges. With 30% discount, 55 minute sessions are $100. ​Appointments with Jon are 55 minutes in length. He accepts cash, check or card at time of service. Kim's varied background includes a BA in Spanish Literature from CU Boulder, a Chartered Financial Consultant designation, as well as a successful career as a retirement consultant with a major pension company. However, she found her true calling by taking a massage class through Colorado Free University. Inspired, she enrolled at the Colorado School of Healing Arts night program, and graduated in December of 2000. She's been in love with the work ever since, and has completed over 1000 hours of certified training. Encouraged by the benefits clients experienced from deeper, therapeutic bodywork, Kim received advanced training in myofascial therapy and neuromuscular massage. She has also enjoyed learning eastern-inspired techniques such as Ashiatsu Oriental Bar Therapy (Deep Feet massage), targeted at providing deeper massage applied with the feet. More recently, Kim is participating in the Thai Bodywork School of Thai Massage therapeutic program in Chicago. Swedish and deep tissue massage are also essential tools in her repertoire. Regardless of the massage modality, Kim strives to give her clients what they ask for, focusing in on individual needs and customizing each session to optimize the results for every client. Kim has a high rate of success in resolving chronic pain and dysfunction, with over 15 years of training and experience, along with continued study and research. $10 off both 60 and 90 minute massage sessions. ​Dr. Keller when you schedule. Denver psychologist Dr. Justin Ross is a founding member of MindBodyHealth. Dr. Ross is passionate about health psychology, and specializes in a number of health psychology related areas, including sports and performance psychology, pain management, eating disorders, stress reduction, bariatrics, and mindfulness based interventions. Dr. Ross is active in a number of health psychology modalities in Denver, including leading smoking cessation seminars, mindfulness programs, and support groups for those recovering from bariatric surgery. His current counseling practice integrates a positive psychology and health psychology model for all of his clients, regardless of presenting problem. Dr. Ross is available for consultation via Skype or Facetime for clients outside of the Denver metro area. I am a Denver psychologist devoted to helping you to make the mind-body connection. My focus is on helping you to optimize health and wellness. First and foremost, I believe this can be accomplished through the cultivation of an open, honest, and positive relationship with a well trained professional — one who recognizes and believes in your strengths. But the relationship is just the start. I will implore you to learn skills of mindfulness, meditation, and cognitive science. Through this work you will build an enhanced sense of self efficacy to help you maintain the healthy life you’ve earned. I will bring to you: my experiences in treating a range of populations since 2001; my current resources and expertise; my academic and clinical training, and real life expereinces. ​Membership benefits for MindBodyHealth coming soon. -Seeking knowledge to adjust habits for a better quality of life.Costs are kept low and transparent. By posting all costs for services before obtaining them and having those costs paid at the time of services provided, there is no billing, keeping overhead costs low to keep charges at a minimum. For those who have chronic heart problems, needing many regular visits or attention through the year, a monthly plan can be established. Dr. Yussman grew up in Louisville, Ky. He received a BA at the University of Wisconsin-Madison. While performing medical research throughout his time there, he decided to go to medical school at the University of Louisville completing his Internal Medicine and cardiology training at the University of Cincinnati. During the course of his training, he performed research in Innsbruck, Austria, falling in love with the mountains. He moved to Denver, Colorado in 2004, joining a private practice cardiology group, which ended up combining with other groups and was eventually acquired by a larger medical system. While continuing to see patients, he left his permanent job and began further studies in the heart’s relationship with inflammation and autoimmunity. Pricing for MyHeart.Life's cardiology services can be found here. Hello, and welcome to RINO Physical Therapy! My name is Dr. Jesse Roles and I have been practicing as a licensed physical therapist since 2012. I am incredibly passionate about my profession and love being able to work with my hands to see an immediate improvement in the way my patients move, experience pain reduction, and ultimately return to or perform better in the things they love doing. A Manual Therapy Certified therapist, I am trained in the advanced assessment and manipulation of soft tissues (muscle, tendon, etc), fascia, and joints of the neck, low back, and pelvis as well extremities from the shoulders to fingers and hips to toes. I have also earned certification in Functional Dry Needling to quickly decrease pain, restore length and contractility of muscles. 10% off initial evaluation & individual visits. Additional discounts off already discounted treatment packages of 5 and 10 treatments. And patients will still be able to submit for insurance reimbursement if applicable. Treatments include 90 minute evaluations and 1 hour subsequent sessions, all 1-on-1 with a doctor of physical therapy. Dr. Roles is happy to accept cash, check, and cards at time of treatment. I am a licensed clinical social worker, certified weight loss specialist and certified personal trainer with the passion to help you be happy and healthy. I have worked with adults, adolescents, children, families and groups in a variety of settings providing therapy, education and training. I am highly skilled at connecting with my clients and supporting them as they take steps to create positive change. physical activity, weight loss and maintenance, improving healthy eating behaviors to reduce therisk of chronic diseases or manage diabetes and Cognitive Behavioral Therapy for depression, anxiety, stress, and disordered eating. In all of my work, whether it is with an adult experiencing depression struggling to find a job, or a parent dealing with the aftermath of divorce, I have seen how one’s thoughts and perceptions of a situation impact one’s behaviors, choices and emotions. Cognitive Behavioral Therapy states that your thoughts are the underlying cause of your behaviors. If we can identify and examine your thoughts about your issue, be it your health, weight, moods, then we have the ability to overcome the roadblocks to lasting change and to balance your thinking to improve moods and solve problems. I look forward to supporting you as you acquire new skills to care for yourself on your journey to greater emotional, spiritual, mental and physical wellness. 20% off the regular session rate of $100 for 50 minutes. Counseling and Coaching for Lifestyle Modifications including increasing physical activity, weight loss and maintenance, improving healthy eating behaviors to reduce the risk of chronic diseases or manage diabetes and Cognitive Behavioral Therapy for depression, anxiety, stress, and disordered eating. Appointments are 50 minutes in length. She accepts cash, check or card at time of service. Free 30 minute initial consultation. 50 min sessions thereafter are $120. Appointments are 50 min in length and she accepts cash, check or card (regrettably not Discover) at time of service. She does ask that new patients fill out and bring their paperwork to their first appointment. Paperwork can be found here at the bottom of the page.